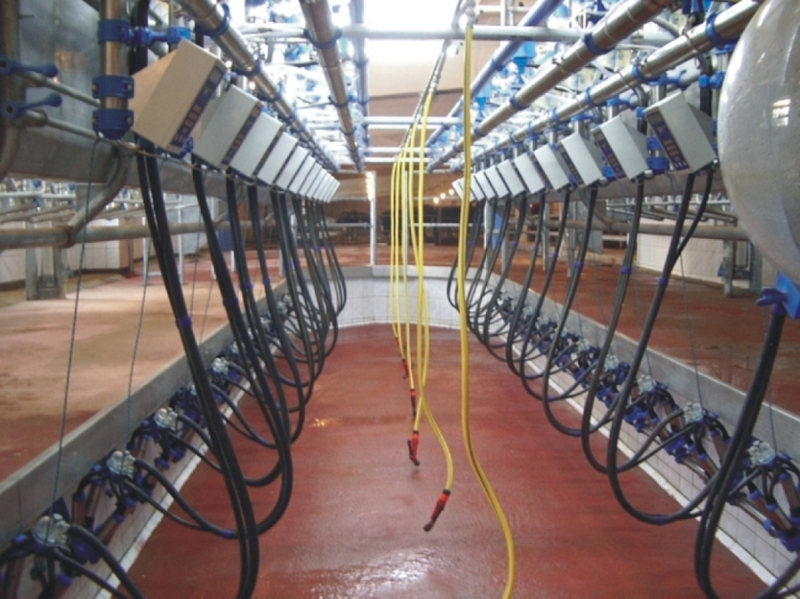 IDMC is a leading manufacturer and supplier of a complete range of equipment for the dairy industry. Its more than three decades of proven expertise backed by five modern manufacturing units and qualified, well-trained personnel has positioned IDMC as a premium turnkey solutions provider for the dairy industry. IDMC provides a complete process solution together with automation right up to installation and commissioning. IDMC provides complete support in terms of logistics, planning, procurement of equipment, commissioning, installation, etc. 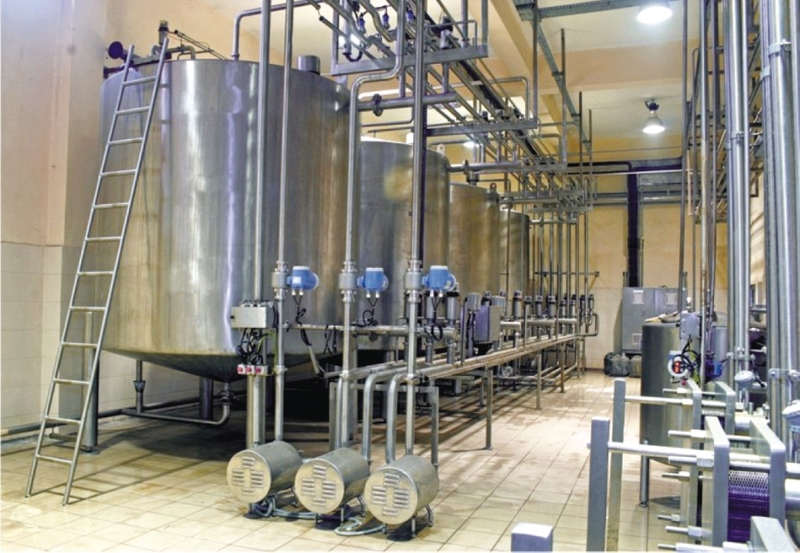 Execution of market milk plants right from concept to commissioning, covering capacities from a thousand to a million litres of milk per day with as many variants as the market demands, has been the competency of IDMC. 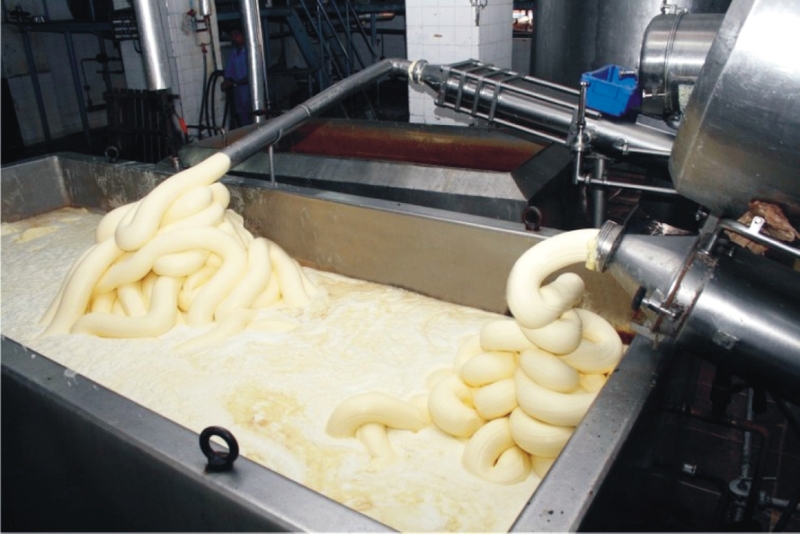 IDMC provides complete process solutions which govern the quality of butter such as cream pasteurization, cream pre-treatment, cream-ageing and butter washing. IDMC has access to all the technological aspects of butter manufacturing and handling systems including butter reworking and texturization. 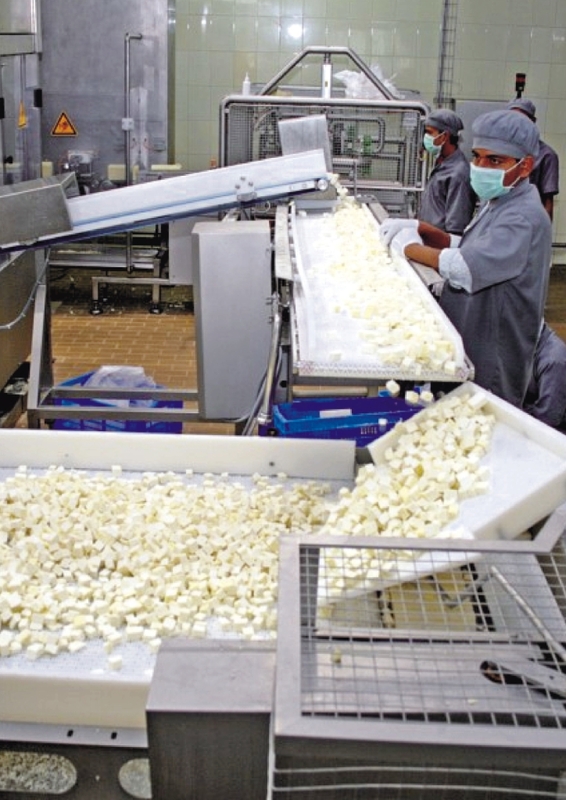 IDMC provides complete solutions to the cheese industry, starting from raw milk processing, whey collection, processing and by-product systems including culture preparation systems to manufacture cheddar, processed or mozzarella cheese in various forms, cheese spreads and other varieties of soft and hard cheeses. IDMC has executed projects with various formats of packaging such as cheese slices, chiplets, tubs and bricks. 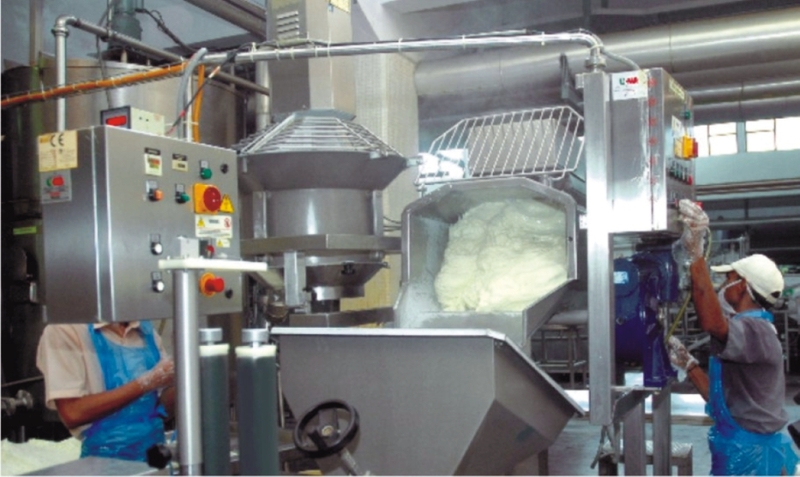 IDMC offers complete solutions for the manufacture of paneer. Experienced technologists from IDMC are working on the development of appropriate process technologies to manufacture various indigenous cultured products such as shrikhand. IDMC provides process modules, mix recipe formulations, mix preparation, blending, pasteurization and homogenization, chilling and aging systems for all capacities and varieties of ice-cream manufacturing. The company’s customized process know-how, design, manufacturing and project engineering capability have placed IDMC as a dependable equipment supplier and project engineering company for ice-cream production. IDMC has executed a number of installations, the largest one being a state-of-the-art PLC controlled curd plant of capacity 100,000 lpd. The process know-how, engineering and equipment design have been standardized for the manufacturing lines for curd, butter milk and cultured butter milk. Bulk milk coolers are used extensively for cooling milk at the collection point, thus maintaining the quality of milk. These are hygienic, easy-to-use and available in various capacities. 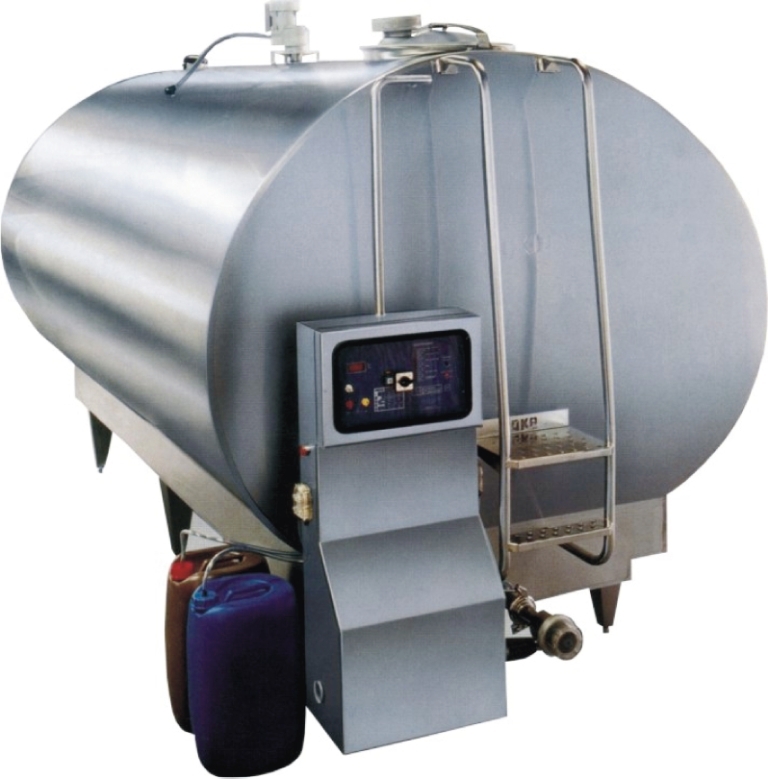 Bulk milk coolers are available in various configurations such as direct expansion, indirect cooling using chilled water, etc. These are available in open and closed type constructions and in rectangular, circular, cylindrical or hemispherical designs. IDMC provides complete preprocessing and aseptic packaging system and ancillary services under one roof. IDMC provides quality sterilizer with high operating and energy efficiency. IDMC presents an integrated solution for aseptic pouches, covering milk, juices and all liquid foods. 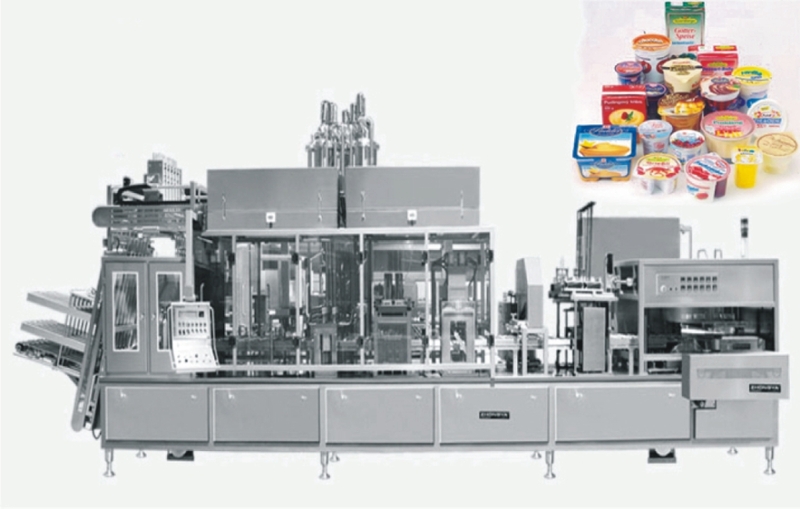 IDMC provides aseptic sterilizer and packaging machine, and integrates preprocessing; secondary packaging and ancillary services under one roof. The products and services covered under the manufacturing range are: blow-moulding machines, flexibility to produce varying shapes from 0.2 to three litres capacity, open or aseptic, mono and multi-layered, made from various grades of HDPE, PET and PP. In association with its collaborator, IDMC provides the know-how for developing, manufacturing and implementing membrane systems and solutions for a variety of process industries. IDMC designs, manufactures, installs and commissions different types of membrane systems – from pilot to industrial scale. IDMC has more than 30 years of experience in dairy engineering and equipment. To improve the efficiency of the dairy farms (ranging from small to medium and large), IDMC has developed three types of milking systems. These systems are as good and close to nature as milk extraction by a calf. 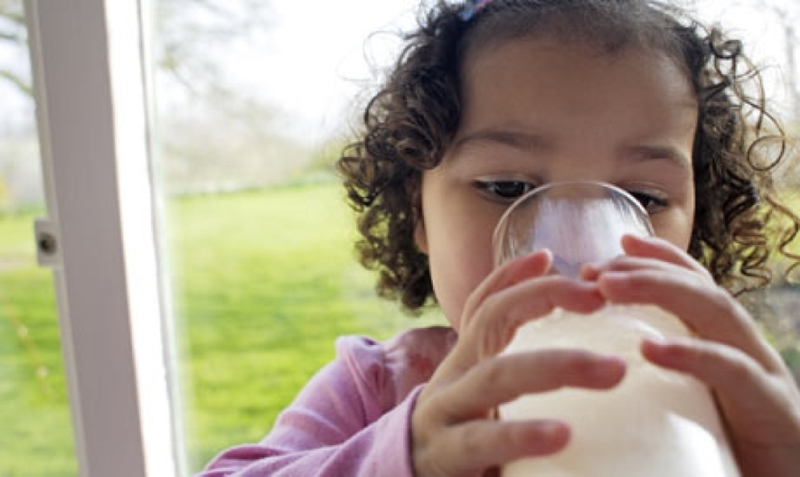 Because of high sanitation of IDMC’s milking machines, the bacterial load in milk is minimum. Moreover, during storage of milk in bulk milk cooler the bacterial multiplication is drastically reduced. 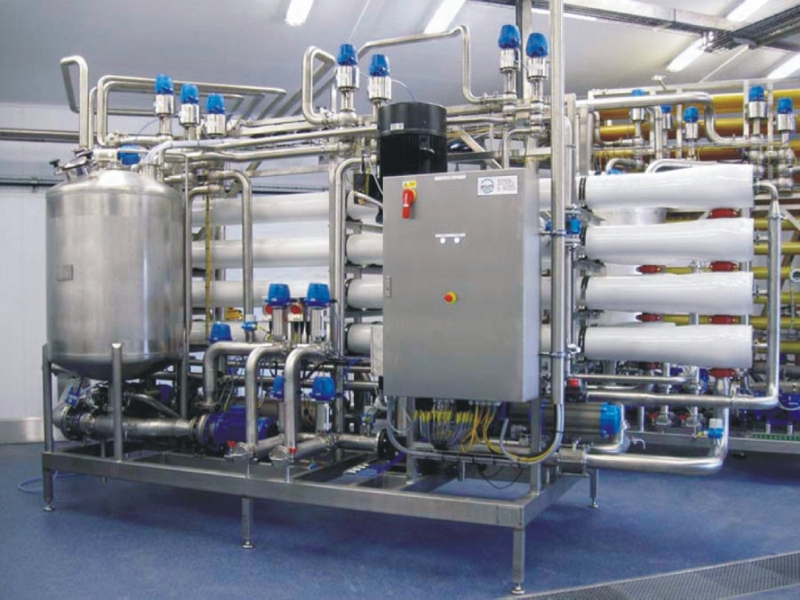 Dairy plants require system for reception, processing and storage for keeping milk or finished products before packing or further processing. Milk storage tanks and silos are one of the key equipment in the dairy industry. These tanks are available in an horizontal or a vertical design suitable for indoor or outdoor installation. Storage tanks are designed and manufactured in flat or conical bottom and mounted on legs or structure. Effective insulation makes storage tanks suitable for storage of milk, cream and other dairy products fresh for a long time. Road and rail milk tankers are an essential part of the supply chain of liquid milk. IDMC manufactures road and rail milk tanker barrels in single, two and three compartments in hygienic and aerodynamic design. These tankers have standard accessories such as manhole, outlet box, CIP nozzle, air vent, access ladder and insulation with polyurethane or polystyrene. 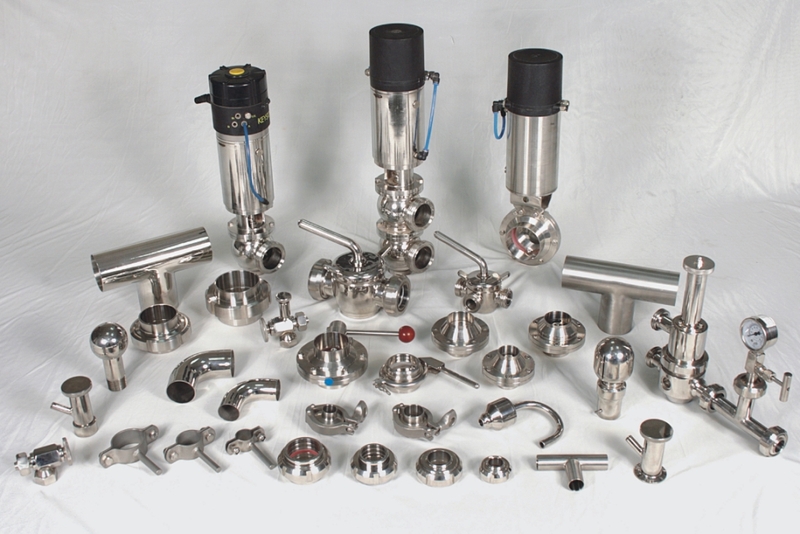 IDMC has a comprehensive range of stainless steel pumps, valves, fittings and other flow components to cater to food process industries. Its machine shop with CNC machines helps IDMC to produce highly reliable products. IDMC has a range of pipes and components such as bends, tees, valves, unions, clamps in sanitary configuration. 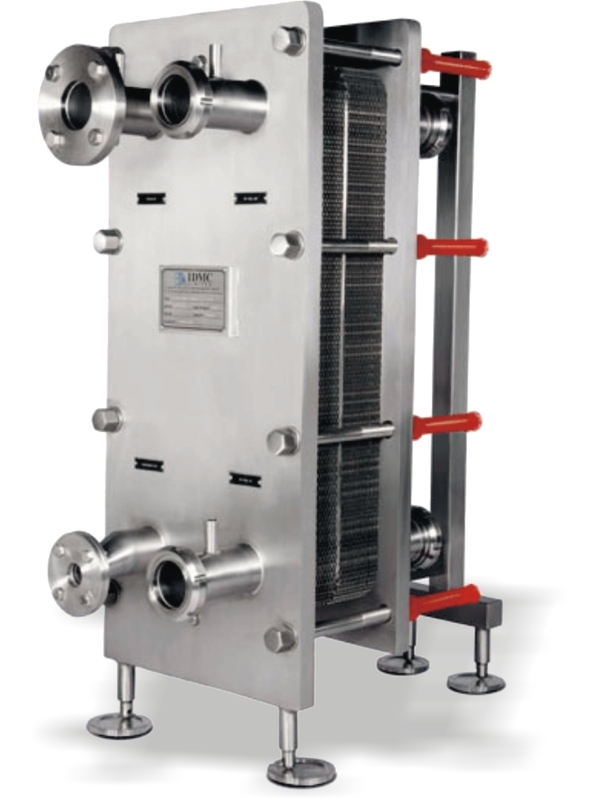 Plate heat exchangers are extensively used in dairy and food industries for heating and cooling applications. IDMC’s plate heat exchangers offer enormous convenience for processing milk and its derivatives, with flexibility, high thermal efficiency and effective heat transfer. Turbulent flow in the heat exchanger and smooth plate surface helps in avoiding fouling and scaling, thereby ensuring longer usages. Most of the processing industries in the dairy and food segments require an efficient cleaning system. These cleaning systems allow the cleaning of equipment, process tanks and piping without affecting the normal functioning of the processing plant. An efficient CIP system is a key indicator of the hygiene of the plant, ultimately helping dairies to improve their product quality. CIP systems are designed according to the process needs and the types of equipment to be cleaned. IDMC designs and supplies customized CIP systems suitable for multi-product application. IDMC offers a wide range of services from consultancy to engineering and project execution, ensuring a remarkable efficiency and consistency in plant design and execution. Our project engineering group is equipped to execute large projects covering green-field as well as expansion of existing projects, right from layout, plant design, mechanical, electrical and instrumentation, installation, final commissioning to the training of operating personnel. Innovation, experience and depth of process knowledge allows IDMC to offer a range of process technologies and customized plant design suitable to manufacture liquid milk, ice-cream, curd and yoghurt, butter, cheese and other dairy products. Combining its in-depth knowledge of process know-how and engineering with latest automation systems, IDMC provides process solutions for control of the entire production and management to achieve higher efficiency, enhanced productivity, better MIS and more efficient maintenance.